“When I become a mommy I’m not going to be like you.” said my 6-year-old as I cuddled her to sleep last night. Ouch! A few weeks ago, this conversation would have turned me into a weeping puddle, blabbering to myself about what an awful mom I must be to not be home to get my kids off the bus. I would have been a mess the rest of the night. I’ll admit, as a full-time working mom, this conversation made me a little sad and caused me to question for the millionth time whether going back to work full-time was a good choice. For a minute or two, I totally felt the doubt, the anxiety and guilt that comes with working full-time. Thankfully, by the time I had the seemingly off-handed conversation with my little girl, I had already dealt, in some part, with this feeling of guilt. You see, as a full-time working mommy, the dreaded mom-guilt and I have had a close, love/hate relationship; it loves me and I hate it. I have felt the sting of rushing my kids off to school in the morning with just enough time for a one-second peck on the cheek and a ‘have a great day’ to their retreating backs. I too have felt the frustration of coming home after a long day at work, to grumpy kids, a messy house and a quiet kitchen that screams at me that nothing is yet prepared for dinner. And I have felt the sadness of not having time to see my friends, or to set up playdates for my kids or being more involved in their school. 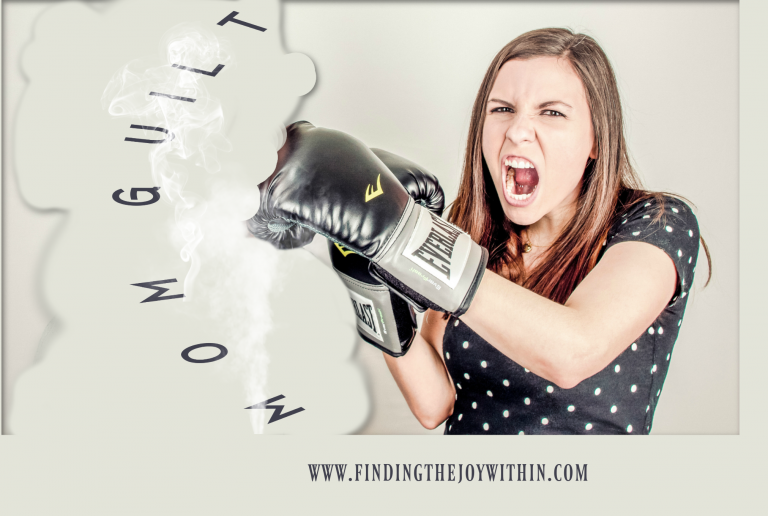 Mom-guilt is real, powerful and if we allow it can debilitate and cripple us. It can cause us to become resentful, angry and bitter. And just for the record, mom-guilt is not a cool club that only working moms are part of. I know a lot of stay-at-home moms who carry the burden as well. The mom who feels guilty that the house is not spotless when you’re “home all day”. Guilt over not serving a 5-course meal at every dinner; not having time to take a shower or exercise or a countless other things moms tell themselves they should be doing in addition to raising their babies. I’ve decided that mom-guilt was not going to get the best of me! The reality is that I could wallow in guilt and feel like a horrible mother for working instead of being home with my children or I can use the blessings I have been given and turn it into something positive. Honestly, I love my job and I love my family as well. I do not want to have to chose between the two. Before you dismiss this question as the mere ranting of a half-awake looney, (its true I haven’t had my tea yet), hear me out. See, like all moms, I am trying my best to make this kid-raising-home building-while-working thing running seamlessly. In the past, I had put so much pressure on myself as to how my kids should act, how my house should look and how many hours I should spend at work so I don’t look like a slacker. And let me tell ya, its exhausting. One day, I decided that it was time to change tactics. I was tired of feeling guilty about not giving enough in every area of my life. And if you keep doing the same thing over and over with similar results then its time to make a change. Instead of focusing on all the things that were not going right in my life and the things I was missing out on, I made a resolution to focus on the things I CAN control and see if improvements can be make in those areas. From that day forward, I refuse to look at my situation only through the lens of guilt. Instead, I will use that ‘guilt’ to fuel my progress. Guilt now has become some soft of compass that helps me identify my pain-points and areas that I need to pay attention to. The biggest areas I have felt tremendous guilt over are (1) dinner, (2) my home maintenance, and (3) time with my children. All these I can change even while working full time. So I came up with a plan and I have implemented it over the course of the past weeks. I wanted to share them with you in hopes that it could be useful to you as well. Its 5:30pm and the kids are starving. They act like they have not eaten all day. Bad news is you have no idea what you’re going to make for dinner. Good news is that at least you food shopped over the weekend and there is something in the fridge you can quickly throw together. And if there isn’t, you can always, always make breakfast for dinner. You are not a bad mom feeding your kids mac n cheese and hotdog for dinner either right?. And you know why? Because while it is not a nutritious meal, by serving it, you have changed your focus to more important things like reconnecting with your spouse and children. I am learning to give myself the permission to ignore the perfectionist inside me and embrace the average-but-happy-me. I’m going to spend less time trying to keep up with the Facebook post of that friend who put dinner in the crock-pot this morning and is bragging about her perfectly done meal. (I may or may not have invited myself over to her house that night). Instead, I’ll be here, definitely planning to use my crock-pot tomorrow, but giving myself permission to just breath and embrace the present. The Plan: I’ll admit I am not organized enough to plan a weekly menu. But while I’m food shopping, I do have an idea of 6 solid meals I can make during the week. I usually focus on which protein we will have and just through a carb and veggie on the side. I am so grateful for pizza on Fridays. Just having a general idea of what you’re going to make that’s quick and easy will make a huge difference. And if you’re a planner and have a menu written down, all the more power to you. When I do plan, I really enjoy Robin Miller’s Quick Fix Meals. Check her out on the Food Network and she has tasty recipes that shows you how to make 2 meals out of one cooking. Anything with ‘quick‘ in the name, sounds great to me. This is one we all deal with. If you’re a working mom, you feel like you’re not as involved in your kids life as you should be. If you’re a stay-at-home mom, you feel guilty that you are not on the floor playing or engaging with your children all the time! When I’m feeling guilty about getting home just in time for dinner, baths and bed and for missing playtime with my kids, I make sure dinnertime, bath and bedtimes are times when I am really present and connecting with my family. Mom-guilt can be a great motivator to help us shift our perspective to what’s really important. The Plan: Since I usually have 3 kids vying for my attention when I get home, I’ve scheduled ‘mommy and me time’ with each child for one of those days when I’m home at a reasonable time. Its on the calendar so the kids see it and can plan our activity on their day. It’s usually 10-15 minutes but its just enough time to fill their attention bucket. 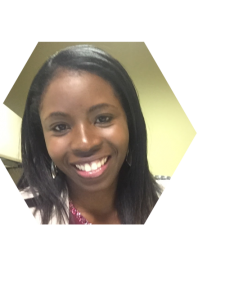 If you would like to learn more about the importance and power of ‘mommy-and-me-time’ for you and your children, please check out Amy McGreedy’s Positive Parenting Solutions program. I enrolled in her program earlier this year and have learned so much. Her toolbox has given me so much confidence in my parenting. Mom-Guilt #3: That Messy House! I am grateful that my house is small enough that we can all see each other from almost any vantage point. We are definitely on top of each other and in each other’s way and I love it. I’ll admit though that with small quarters, things get messy pretty quickly. A tub of legos can do serious damage in a room with not much space to walk around. Personally, I love my areas to be clean and clear of clutter. In the past, I have had such anxiety about the messiness of my house and the hours it would take me to clean it up. I was finding myself becoming impatient and resentful that I had to spend time cleaning. In full disclosure, I will say here that despite my best efforts the kids only play a small role in cleaning. This is something we are definitely working on and I will let you know how we do. The Plan: There are 2 things I have done to ease the burden and guilt that comes with maintaining my home. First, I clean my kitchen, dining room and living room almost every night before going to bed. I am so much more happier when I wake up to a clean(ish) house. And cleaning is so much faster when I do it daily as oppose to once a week. Total life changer! I can now pick up the main areas of my house in 30 minutes. Second, if you haven’t heard of Allie Casazza yet, you have to check her out. In addition to being passionate about minimalism, Allie’s has such a giving spirit. She is all about decluttering your home so you can live your best life. Check out her Uncluttered Home course and podcast. I signed up for the mini starter kit, and it really helped me get the ball rolling. Since getting rid of the clutter in my house, cleaning up so much faster now. I also love the The Clutterbug on YouTube. I found out I’m a Ladybug and now look at organizing in a whole new way. Kick Guilt to the Curb! 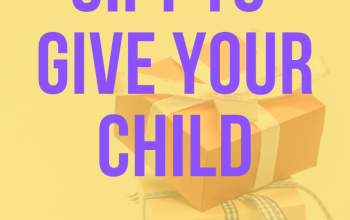 Even though I have implemented these plans I still deal with mom-guilt all the time. I have just changed my perspective and no longer allow it to take my joy. You can do the same. No matter what you are struggling with or feel guilty about as a mom, ask yourself what you can do about it right now. 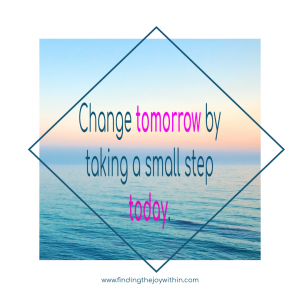 What small step can you take today to help improve your situation? 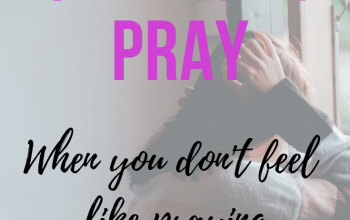 Do you need to pray more so you feel more centered and joyful? Do you need to change your work schedule or find a new creative outlet from being at home all day? The next time you feel a-washed in mom-guilt, first think of the source of the guilt. What is it exactly that you are guilty about? Then take some steps to either change your situation or at the least make a way to work towards where you want to be. And please don’t listen to that negative voice in your head that tells you you’re not enough. I hope these tips help you in your motherhood. I know that mom-guilt is something a lot of moms struggle with. If you’d like to share, I’d love to know what you struggle with the most when it comes to mom-guilt? Don’t let mom-guilt or anything, for that matter, take your joy.